Please note: Community Choice program participants recently received a energy mix disclosure document in the mail from Constellation NewEnergy, the program’s new electricity supplier. The document appears to provide information about the program, such as the price and the energy sources used to generated the electricity supplied by the program. This document was mailed due to an error by Constellation. 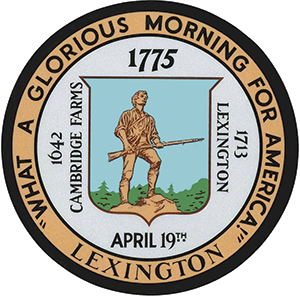 The information it contains is NOT RELATED in any way to Lexington’s Community Choice program. Community Choice program participants can rest assured that the contracted program price remains in effect and also that the electricity supplied for both the 100% Green and the New England Green options includes the renewable energy guaranteed in Constellation’s contract with the Town. Welcome to Lexington’s Community Choice program, a Town electricity program that increases the amount of renewable energy in your electricity to 100%. The program is an electricity aggregation, which is a form of group purchasing in which a city or town selects an electricity supplier on behalf of residents and businesses. Under this program, Eversource will continue to deliver electricity Lexington, but Lexington uses a competitive bid process to choose its own electricity supplier. Participating in the program will give you a new rate and a new electricity supplier on the supplier services portion of your Eversource electric bill. Lexington has signed a contract with Constellation New Energy the beginning with the December 2018 meter reads and ending with the December 2020 meter reads. Please note: The program price is fixed until December 2020, but Eversource’s Basic Service prices change every 6 months for residential and small business customers and every 3 months for large business customers. As a result, savings cannot be guaranteed compared to Eversource’s Basic Service price. 100% Green: 100% renewable energy. Provides least 19% from renewable energy projects in New England, which is 5% over the minimum required by the state. New Eversource Basic Service customers will be automatically enrolled in 100% Green. New England Green: 100% renewable energy, all generated by projects in New England. Basic: Meets Massachusetts minimum renewable energy requirements. Does not include any additional renewable energy. As provided by state law, all Eversource Basic Service customers are automatically enrolled in the Lexington Community Choice program, unless they choose not to participate. Please contact Constellation New Energy at 1-844-813-7876 to enroll in the program. The program’s electricity supplier will be listed as your electricity supplier. Right now that is Agera Energy. That will change to Constellation New Energy in December. You may opt out of the program before being automatically enrolled or at any time after enrollment with no penalty. If you choose to opt out, Eversource will continue to be your electricity supplier, and the supplier portion of your electric bill will remain on the Eversource Basic Service rate. See the difference between a typical Eversource electricity bill before enrolling in the program, and afterwards. HINT: Look at the supply / supplier portion of the bill.